While welding is not yet an Olympic sport, it is actually a discipline which many winter sports depend on. From building luge tracks to ski jumps, to individual sleds, or entire stadiums, welders are an important part of any behind-the-scenes Olympic team. This year’s Winter Olympics bobsledding course, called the Alpensia Sliding Center, in Pyeongchang, South Korea was designed and implemented in a hurry. The architectural team from Korean firm Daelim Industrial solved the difficult welding challenges with a new solution: robotic welders which were able to weld ten times faster than even the best hired human hands could have. If you are an intrepid industrial welder, worry not: the sleighs themselves (and also the luge and skeleton sleds) are still created by expert humans wielding welding machines like those from The Alpensia Sliding Center. Did you know the USA team went more than 40 years without winning a medal in any bobsled event? Our Olympic fortunes turned when a team of NASCAR drivers and technicians set out to build a better sled. They called upon the welding expertise of Lincoln Electric, one of Sidney Lee’s most trusted partners for welding equipment, to help them master the precise welding challenges ahead of them. 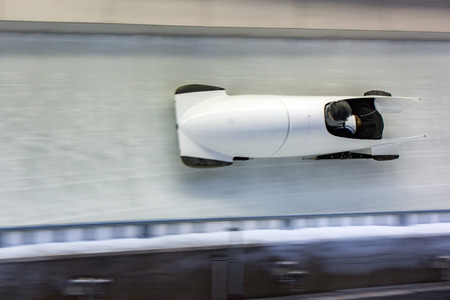 A bobsled is created out of a range of metals, from ultrathin sheets of aluminum to thick steel. The chassis is most important, since it has to withstand up to five-g force out there on the icy track. Expert welders armed with Lincoln’s high-end TIG and MIG welding machines rose to the occasion, and the rest is Olympic history. Even though you wouldn’t associate running or swimming with the creative demands of welding, the Summer Olympics have gone through their own ups and downs with welding. Speedo’s polyurethane LZR racer suit utilized a nano-technology welding method to create a swimsuit that had to be banned because it was too good! Energy generated by ultrasonic waves welded pieces of swimwear fabric together, eliminating the tiniest drag caused by old-fashioned clothing seams. After a record setting season in 2008, officials decided to ban the welded suit. So much for bringing welding equipment into the swimming pool! Thinking of training to become an Olympic welder one day? Why not get your start with welding equipment purchased from Sidney Lee Welding Supply in the Atlanta, GA region.